I want to hunt Rocky Mountain bighorn sheep so badly my teeth hurt. But did I put in to draw a tag this year? I did not. The mind-numbing occupation of moving halfway across the country distracted me from more important matters, like studying state regulations and filling out tag applications. Fish and Game regs and application processes are so intricate and so varied from state to state that even Tom Selleck would go bald trying to decipher them all. But if you want to draw one of those lovely bits of tear-resistant paper that serve as a license to kill a monster mule deer, sheep, or a premium elk, moose, mountain goat, pronghorn antelope, bison, or black bear tag, you've got to apply. Entire books have been written about how to successfully study, apply, and draw the holy grail tags in various Western states. I, of course, don't have quite that much room here, so this is anything but a comprehensive guide to drawing the tag of your dreams. 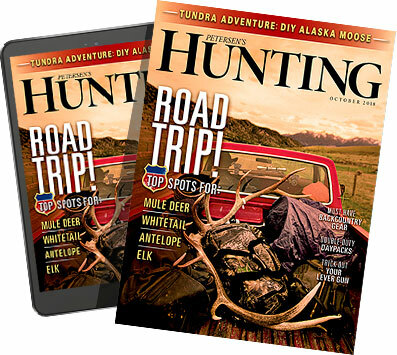 But every Western "destination" state (most hunters no longer include Washington or California in that category) has its own set of deadlines and unique demands, and this brief column is meant to give you the basic info needed to apply.